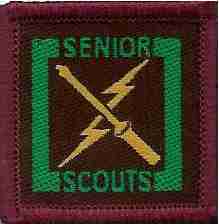 Senior Scouts is where the action is! With a programme specifically designed to be challenging it encourages individuals to ‘look wide’ and be adventurous. 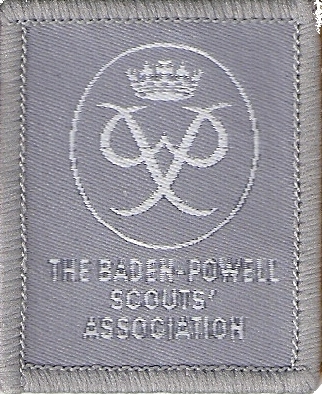 Much of the work they do is aligned to the Duke of Edinburgh scheme which can be found in that section of the menu bar. Seniors are encouraged to develop skills for life and to be self motivated. They must have a ‘can do’ attitude to progress through the programme. 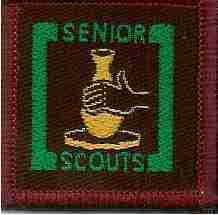 Following their time in Senior Scouts they can then move on to become a Rover Scout or elect to become a Young Leader. 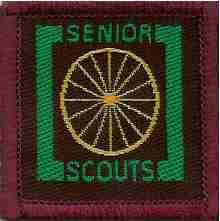 Senior Scouts have the same Law & Promise made by Scouts but their motto is different. 1. A Scouts' honour is to be trusted. 3. A Scouts' duty is to be useful and help others. 7. 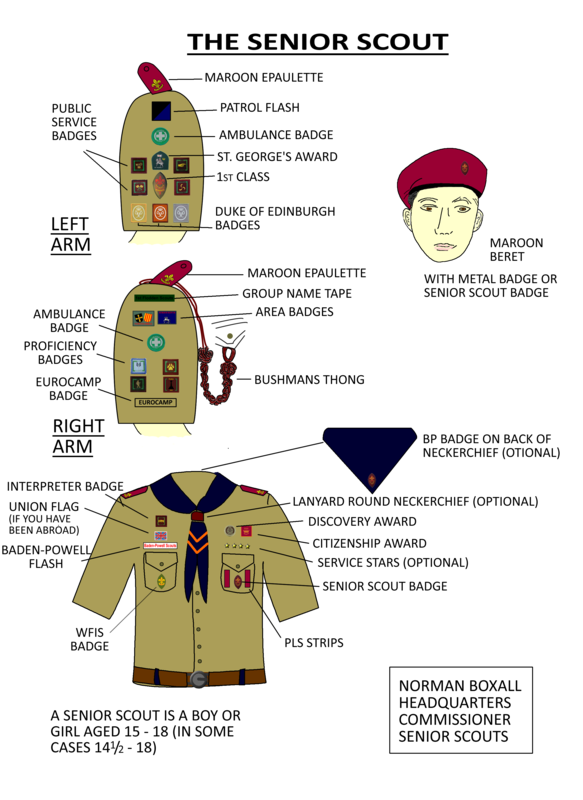 A Scout obeys orders of his parents, Patrol Leader, or Scout Master without question. 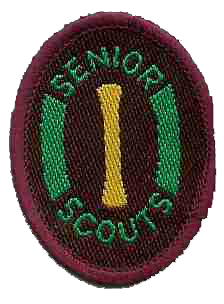 A young person becomes a Senior Scout by investiture, during which they makes or re‑affirm the Scout Promise. 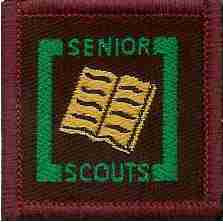 To become a Senior Scout the young person must be between 15 and 18 years old. 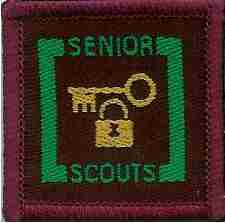 Before being invested as a Senior Scout they must either hold the First Class badge; or complete the Admission Test. 1. 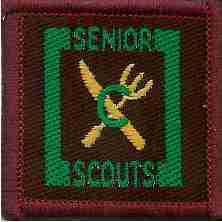 Understand the Scout Promise and Law in accordance with his age and development. 2. 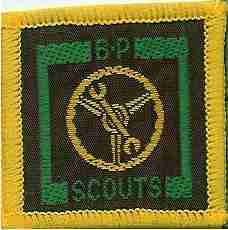 Have a knowledge of the life and work of B-P and the broad outlines of the history of the Movement. 3. 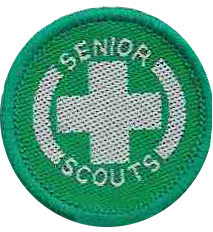 Have sufficient knowledge to train a boy or girl of Scout age in the Tenderfoot tests. 4. With at least 3 other Seniors, one of which will make a report to the S.M. (S), go on foot across country or by boat, sailed or propelled by himself a total distance of not less than 22 kilometres, carrying his kit and sleeping out (in tent, hut or barn according to season) for not less than one night, lighting a fire and cooking for himself and his companion. 5. 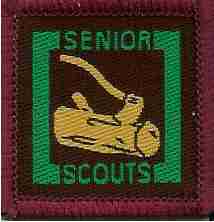 If not previously a Scout, the Scout must have spent a total of at least 3 nights away from home in the company of Scouts (if possible Senior Scouts) sleeping in a tent, hut or barn, or similar shelter. 1. Complete an adventure journey as a member of a Patrol in which he shall play a leading part. The journey, which may be short in length, must include at least 5 "incidents" such as rescues, from fire or heights, compass work, night work, decoding. a. Boxing, fencing, wrestling, judo. b. Rowing, riding, ice-skating, roller-skating, sailing, gliding, canoeing, car-driving and motor cycle riding. e. Rock climbing, rope-spinning, caving. f. Track athletics, field events, cross-country running. a. Climb a tree to a height of 9m from the ground. b. Vault a fence two-thirds his own height. c. Throw an 18½m line to fall between 2 pegs 122cm. apart at a distance of 15½m. twice out of every 3 times. d. Swim 18½m wearing clothes. e. Climb a rope to a height of 4½m from the ground. 4. 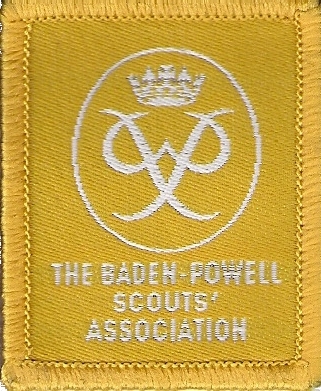 Make a journey of at least 32 km on foot or by boat, with 3 other Scouts, route must be one with which the Scout is not familiar and should, if possible, include stiff country. Sleep out, using only kit carried in rucksack. The Examiner may set the candidate 1 or 2 tasks which require a specific report but no general log of the journey is required. The journey must be such as will constitute a definite test of determination, initiative, and self-reliance. 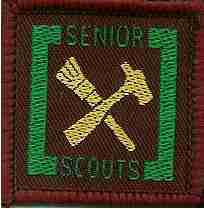 Pass the Senior Scout Hiker Badge. N.B. - All hikes must be checked by person holding B-PSA Safety on the Hills Certificate. 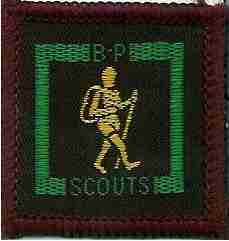 The Bushman's Badge is a leather braid worn on the right shoulder. Be at least 16 ½ years of age. 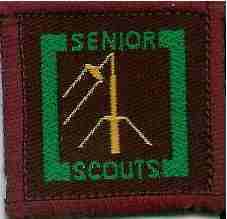 Hold the First Class Badge, the Venturer Badge and 2 of the following badges: Astronomer, Camp Warden, Forester, Hiker, Master Cook, Meteorologist, Naturalist, Senior Pioneer, Tracker. Make their own braid. (The necessary materials and instructions are obtainable from the Equipment Department at H.Q. 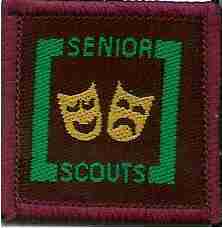 by Badge Secretaries). 1. Hold the Bushman's Badge. 2. 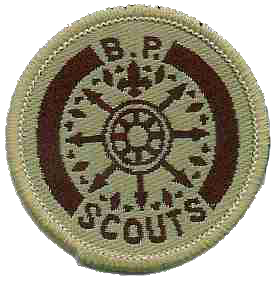 Have shown qualities of leadership and a desire to use these qualities, together with his Scouting knowledge to the benefit of the Wolf Cubs or Beavers. 3. With the approval of his S.M. 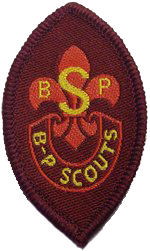 (s) have completed a probationary period of one month and be prepared to continue, as an Instructor to a Wolf Cub Pack or Beaver Colony to the satisfaction of the G.S.M. and C.M. or B.M. concerned. a. 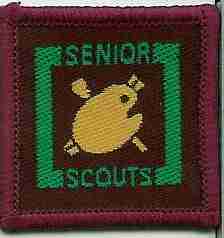 Have a knowledge of, and ability to instruct in, the subjects of the First and Second star badges and any two proficiency badges. b. Show a reasonable knowledge of the Wolf Cub's Handbook. c. Know the duties of the C.M. 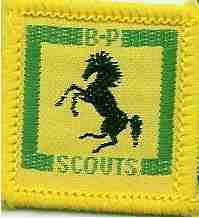 and other Pack Scouters and the difference between the Cub and Scout training methods. a. 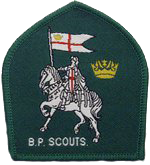 Have a knowledge of, and ability to instruct in, the subjects of the Kitten Badge, the Four Footprint Badges and two of the other awards/ badges available to Beavers. b. Show a reasonable knowledge of the Beaver Handbook. c. Know the duties of the B.M. 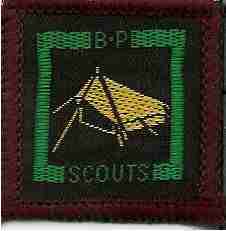 and other Colony Scouters and the difference between Beaver and Scout training methods. 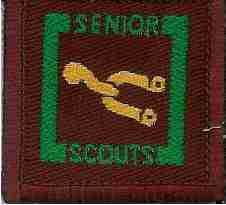 Note: The badge will be surrendered within three months of the Senior Scout ceasing to be an Instructor. 3. In the opinion of the Group Council be setting a personal example of the Scout way of life.